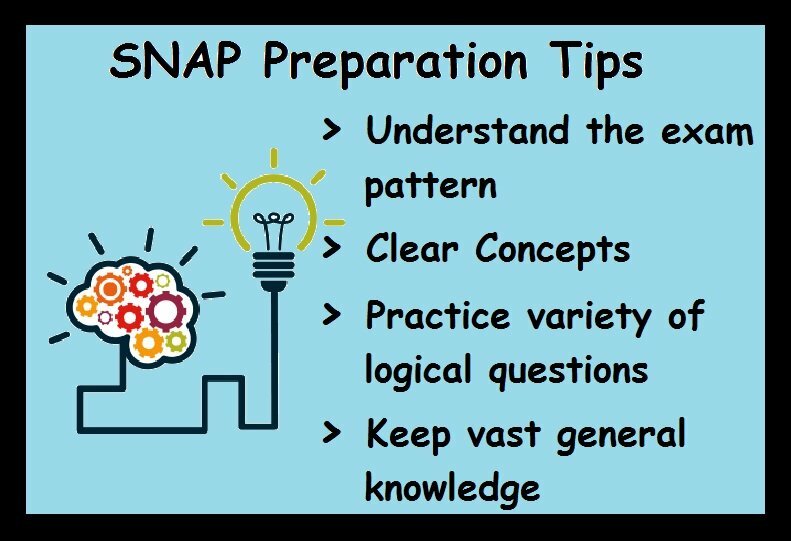 SNAP Preparation Tips (सिंबियोसिस नेशनल एप्टीट्यूड टेस्ट तैयारी टिप्स): The SNAP, Symbiosis National Aptitude Test is a popular exam next to CAT and MAT. The exam is taken by the students who want to pursue their post graduation in MBA. As the name suggests the exam is for getting selected in the very famous Institute of Pune Symbiosis. The exam has a moderate level of difficulty as compared to other exams. Well despite this the only thing that makes this exam quite uneasy for the candidates to crack is its distribution of questions. All that works for it is some Tips and Tricks to Crack Snap. 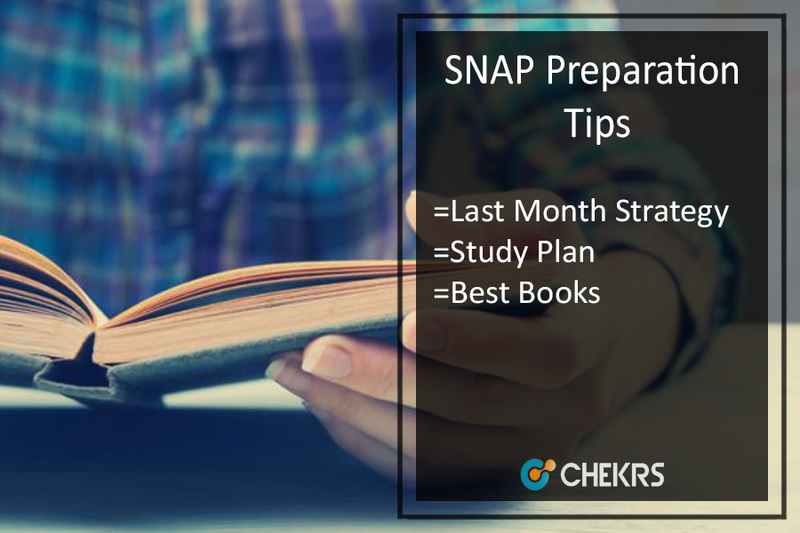 All the students who are planning to register themselves for this test; here we are providing SNAP Preparation Tips for guidance. The foundation of all the subjects is what is demanding in the whole scene of an exam. 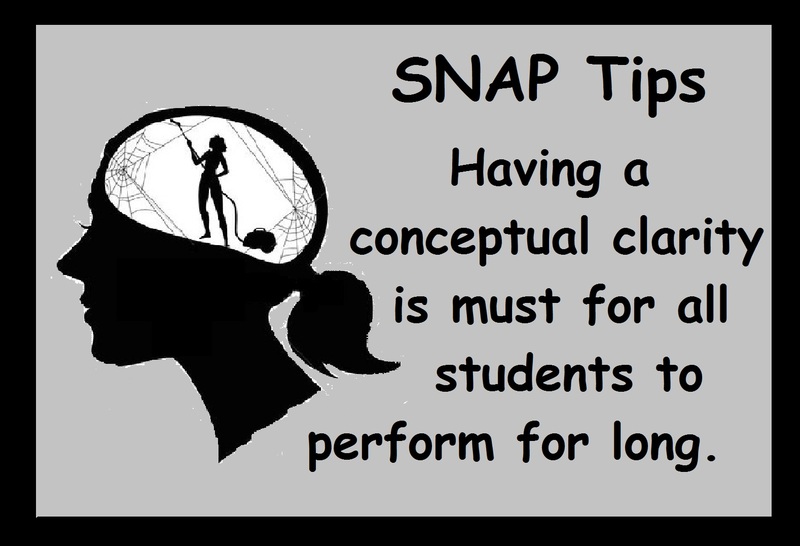 The candidates who will be appearing for the exam are given the Tips for Cracking SNAP that they should be more focused on concept clearing rather than just mugging up the formulas. From the previous exams, it has been noted that the paper usually focuses on asking the root meaning than the straight solutions. The exam has been difficult over the years for this section only. All the aspirants of the exam are instructed on How to Crack SNAP that they should be an easy solving variety of questions. The important topics in this section are- Venn diagram, Cubes, 3-D squares, Facts inference Judgment, Letter series, Blood Relations, Double line Distribution, Verbal Analogy, Coding-Decoding, and puzzles. This section is very important for obtaining marks as the weightage of this section is more even than the general awareness section. Even though the marks of this section are comparatively less, it is likely for the students to get a lesser score in it. The challenging part about this section is that the GK questions are never obvious. The surprise for all the students in this section is the unpredictable questions. 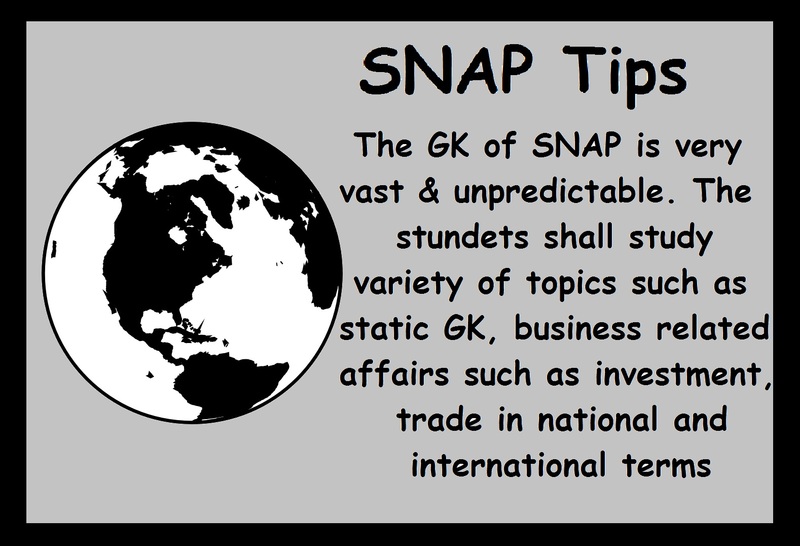 For a good preparation, the candidates should review static GK, current affairs in terms of business, economy, sports and awards as the Study Material for SNAP. Whether it is calculations of math, decoding of reasoning, the twists of grammar or the unpredictable questions of GK all of the students have some of the weaker sections. To all those students the ultimate tip on How to Crack SNAP in 1 Month is to make sure that you overcome all your weaker sections. To begin with, the candidates should take mock tests and next is to practice on them daily. This is the ultimate Strategy for SNAP Exam.